WOW! 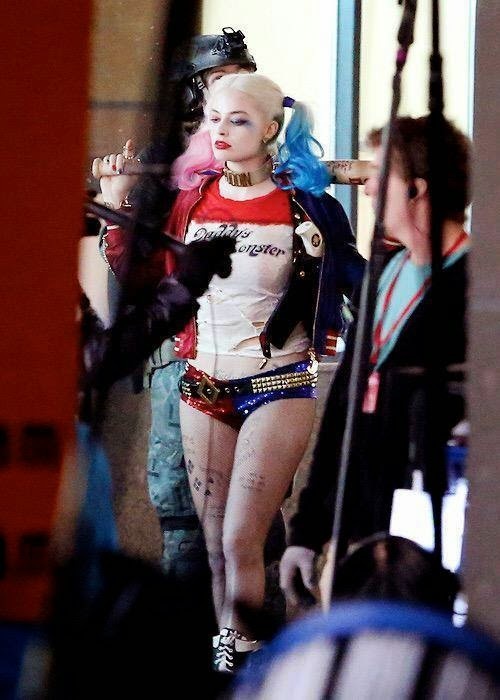 OK, This photo of the Actress, Margot Robbie (as Harley Quinn) has finally surfaced from the set of SUICIDE SQUAD. I think she looks pretty HOT! But, I'm not buying the whole "Harley" thing just yet. Maybe I just need a little more time. I mean, oh well, we'll see. I hope this movie turns out to be a hit. Suicide Squad is an interesting comic book and it would be nice to see it get some good attention.